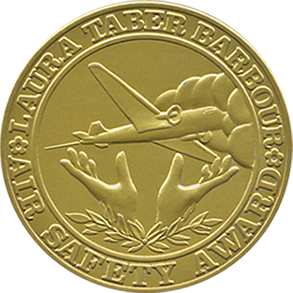 Established in 1956, the Laura Taber Barbour Air Safety Award recognizes and celebrates original and remarkable worldwide contributions in the field of aviation safety, be it civil or military, in method, design, invention, study or other advancement. Long respected in the field of air safety, the Award places particular emphasis on achievement and the manner of operation, duration and persistence of personal effort extending far beyond standard occupational responsibilities, assignments or functions. And in so doing, mechanics, engineers and others not at executive administrative or research levels and who have made distinguished contributions to air flight safety, garner most careful consideration. 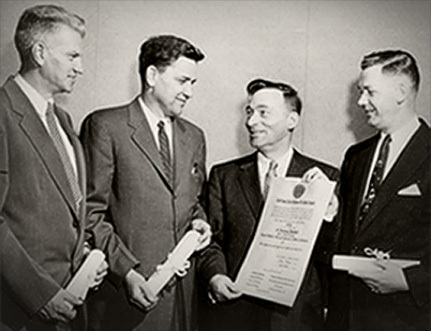 Each year’s recipient is awarded a gold medallion bearing the Laura Taber Barbour Award emblem, an honorarium and a framed citation recognizing the recipient’s particular achievements in aviation.